We left the bakery, simultaneously asking ourselves how we could possibly eat more and vowing to try. 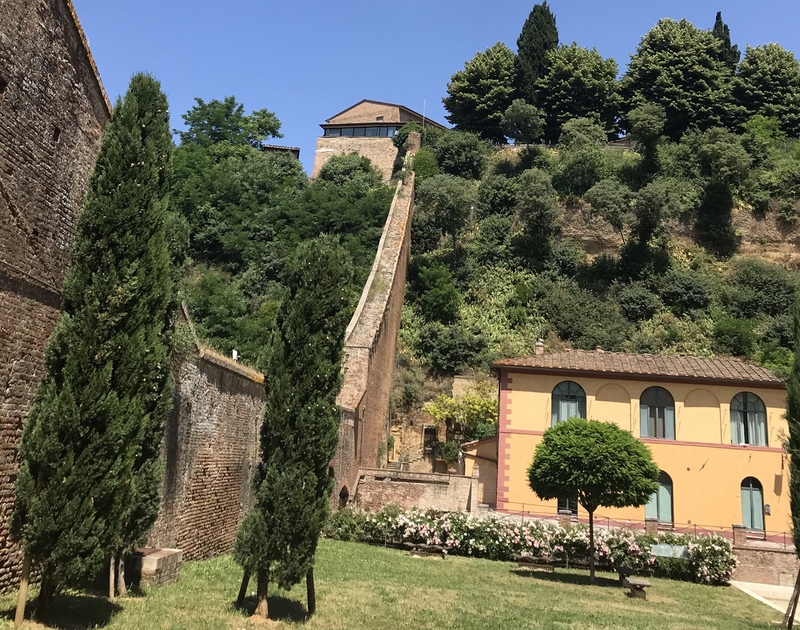 We walked to the car, admiring Siena’s rather imposing city wall as we set off for our next stop, the hidden farmer’s market. The city wall in Siena, Italy. 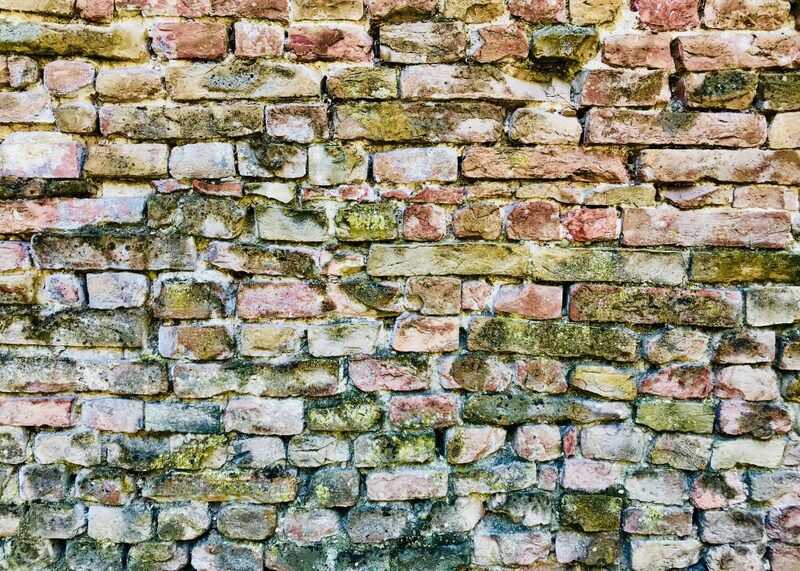 An up-close look at the city wall in Siena, Italy. Can you imagine what it took to build this hundreds of years ago? Massi drove us down narrow streets and through round-a-bouts that we were thankful not to have to maneuver on our own and within a few minutes, we pulled into what we thought was a vacant strip mall because it had no signs. Ann and I didn’t see a farmer’s market, but that didn’t slow our hosts. They led us through an unmarked doorway and into a fresh food lover’s dream. Steve and Deb from Italy Unfiltered inside the secret food market in Siena, Italy. Inside, vendors had set up shop selling chickens, proscuitto, fruits, vegetables, tomatoes, honeycomb, pasta and soap. 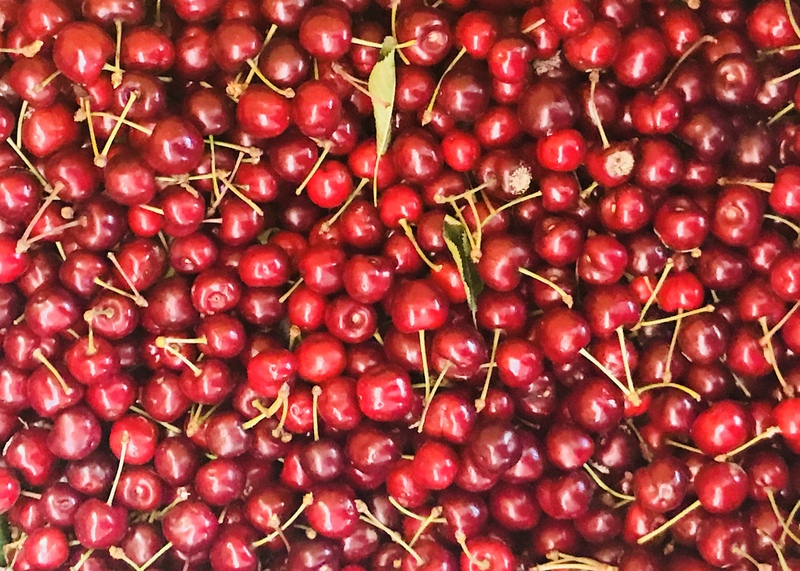 All of it was fresh and in season and all of it looked amazing. With ingredients like these, we began to see why all the food here is so good. We got to Siena just at the end of the cherry season. These were likely the last to be sold this season. 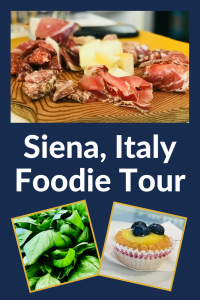 Deb, a Texan who herself is a graduate of culinary school, told us that Tuscan cuisine is based on three basic ideas: It’s seasonal, regional, and traditional. In other words, the food served at any point in the year is available fresh, and is prepared according to local recipes in the same way it was prepared hundreds of years ago. 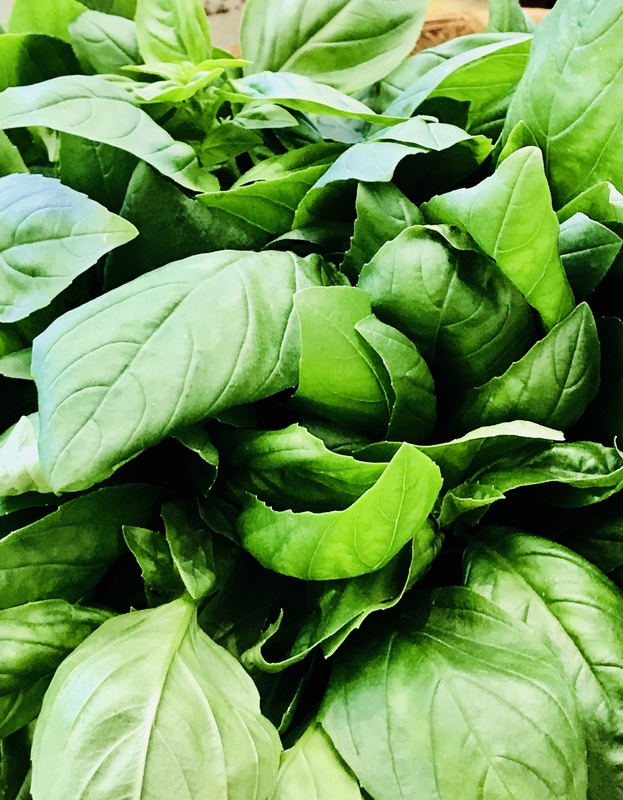 Huge bunches of fresh basil were available at the hidden farmers’ market in Siena, Italy. 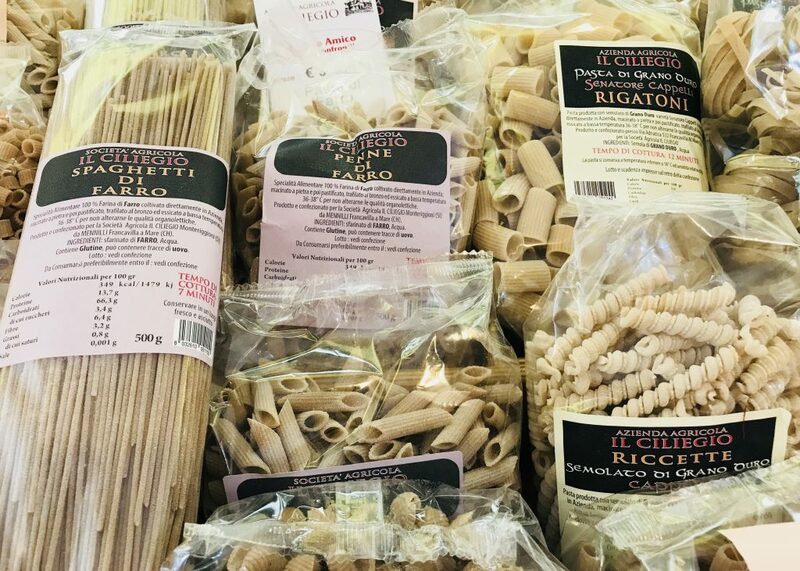 We bought a package of this authentic pasta at the hidden farmers’ market. We purchased some pasta which will be perfect on a cold October’s night and headed to our next stop – a roadside fruit and vegetable stand that sold some of the most beautiful produce we’ve ever seen. I have to give props to Ann, she got some wonderful photos. I’ll let them do the talking, but know that everything we sampled tasted even better than it looked. 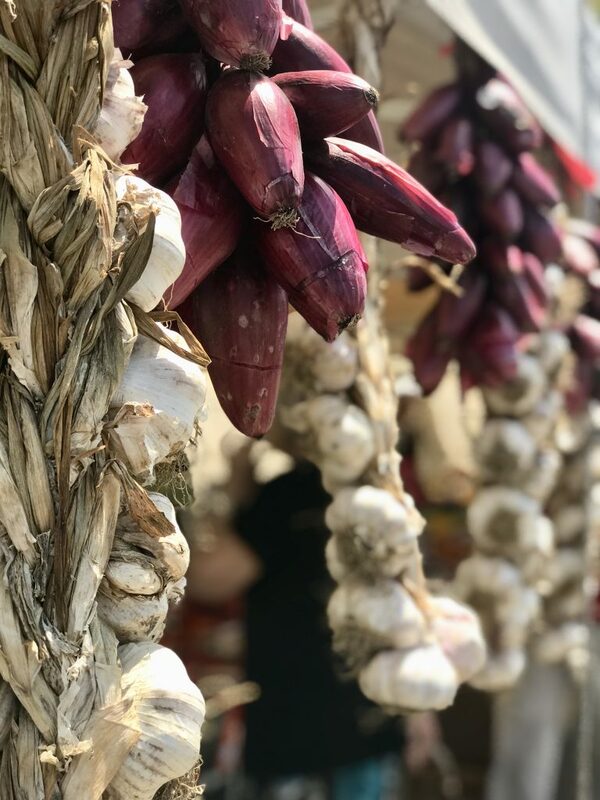 Two must-haves in Italy – fresh garlic and red onions hanging at a roadside fruit and vegetable stand in Siena, Italy. 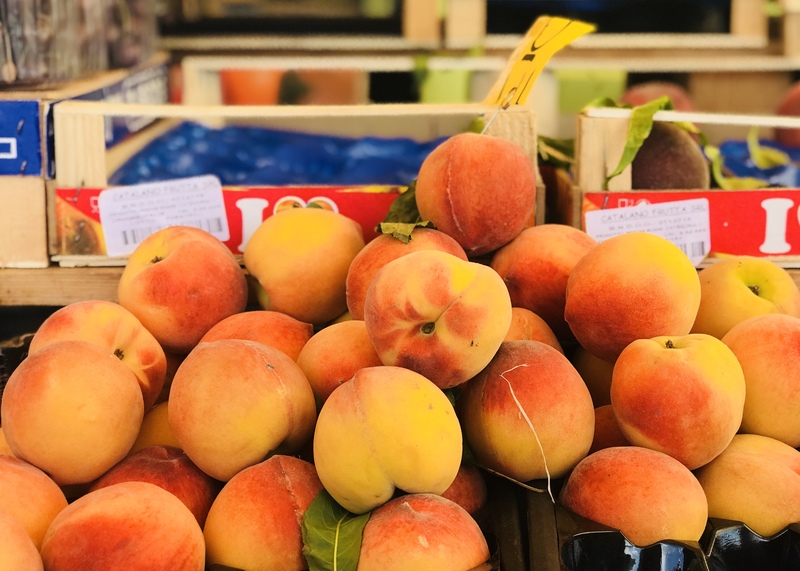 Fresh peaches at a roadside fruit stand in Siena, Italy. 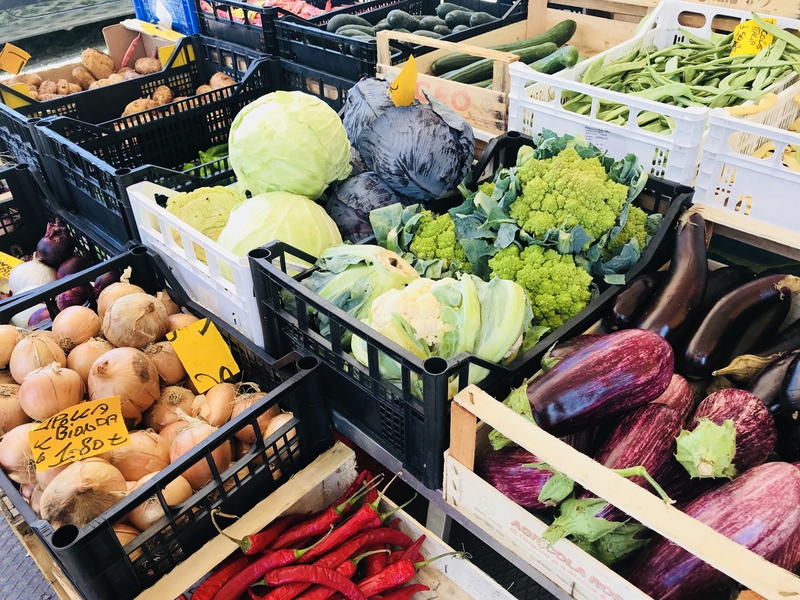 Fresh vegetables at a roadside stand in Siena, Italy. 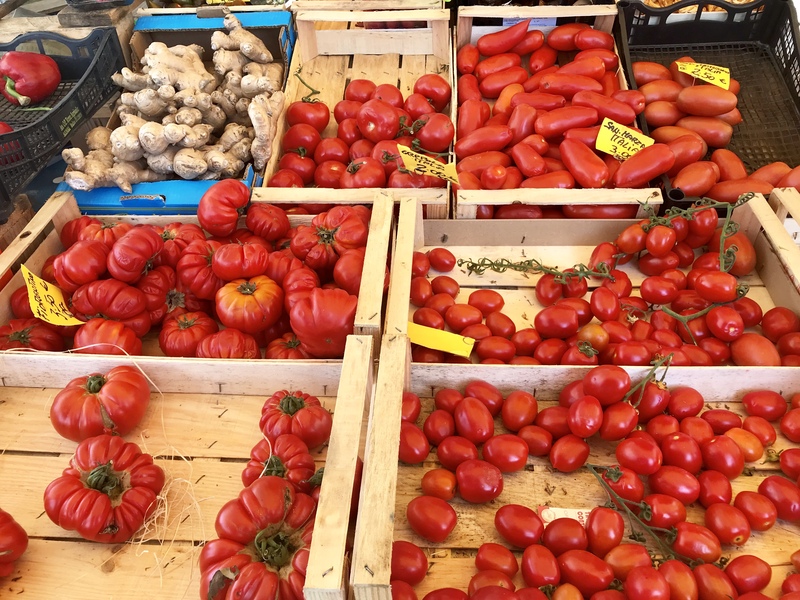 Fresh tomatoes in a roadside stand in Siena, Italy. Italians take ironing very seriously. 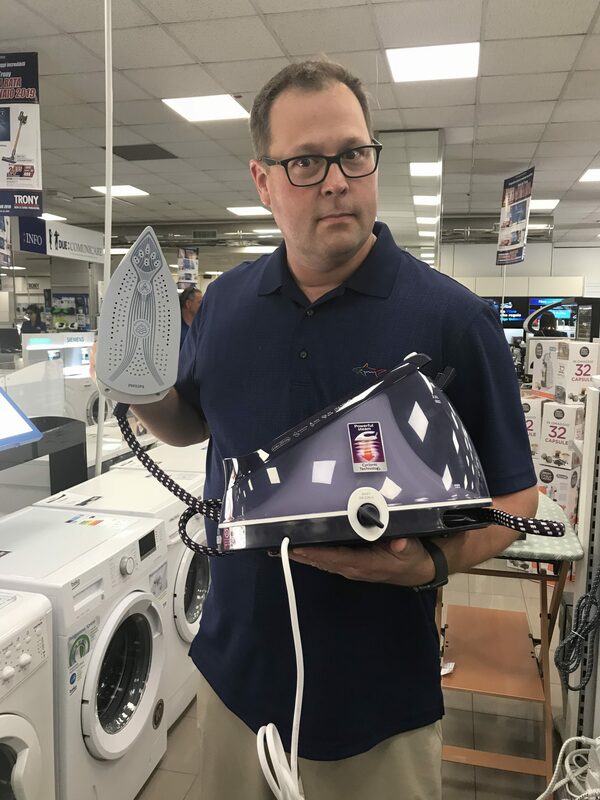 We have no idea what the bottom part of this iron does. 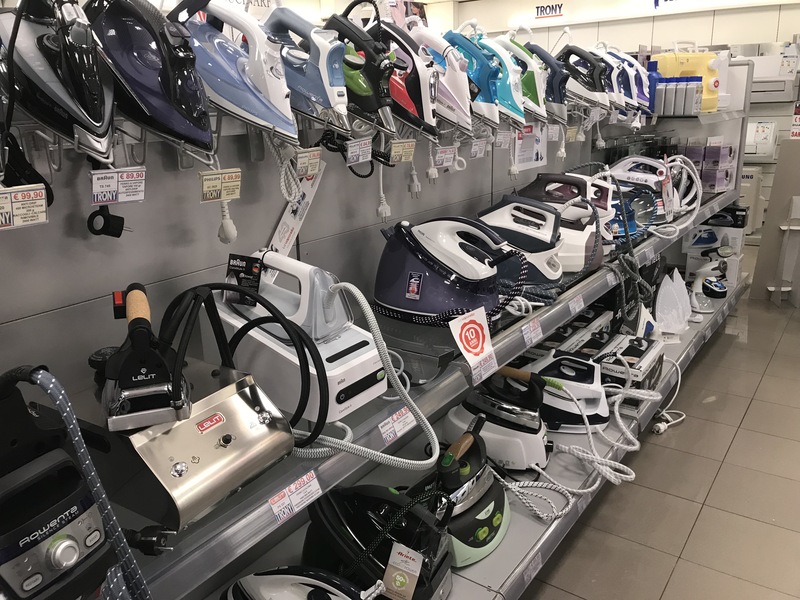 Check out the vast array of irons. But what all do they do? 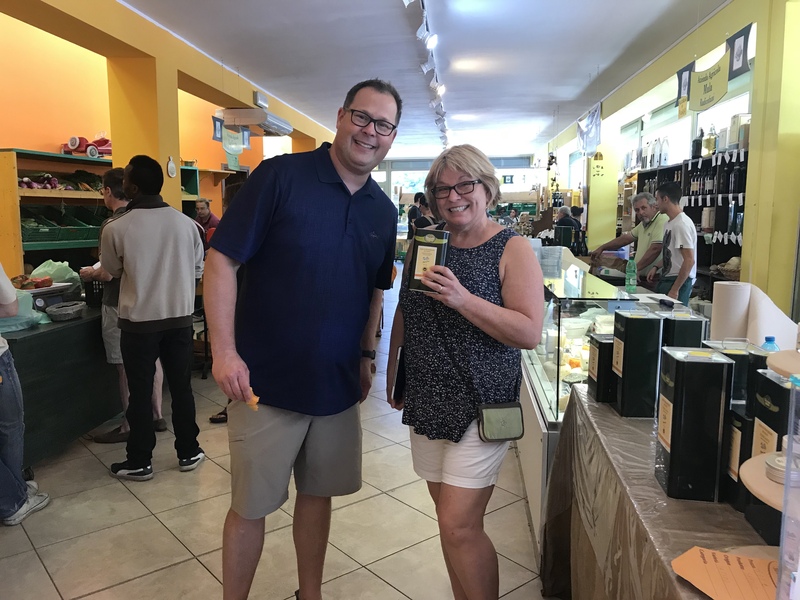 While Deb and I looked around, Ann picked out a curling iron since she forgot the one that works on European outlets at home, and then we headed down the way to the coffee shop where Massi was waiting for us. There, we saw the most amazing little tarts, and we just had to try get a picture of one. 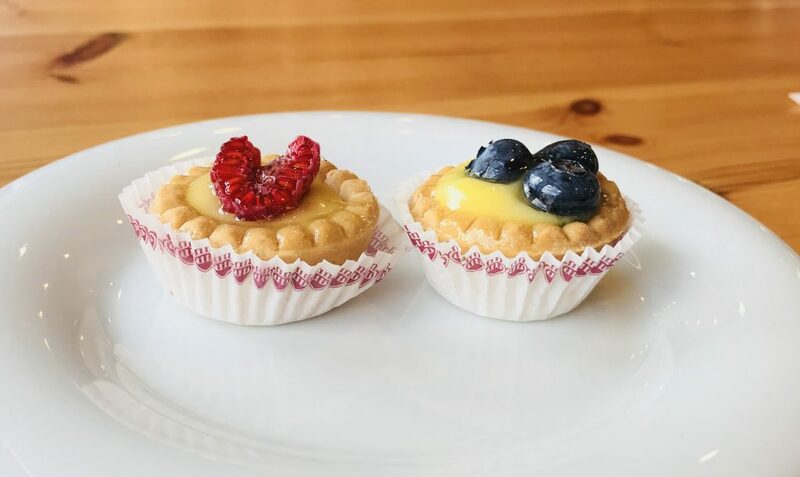 These two little tarts were fresh and delicious! These were so fresh that the blueberries burst in my mouth. Yum. We hopped back in the car and drove to our final stop for lunch. 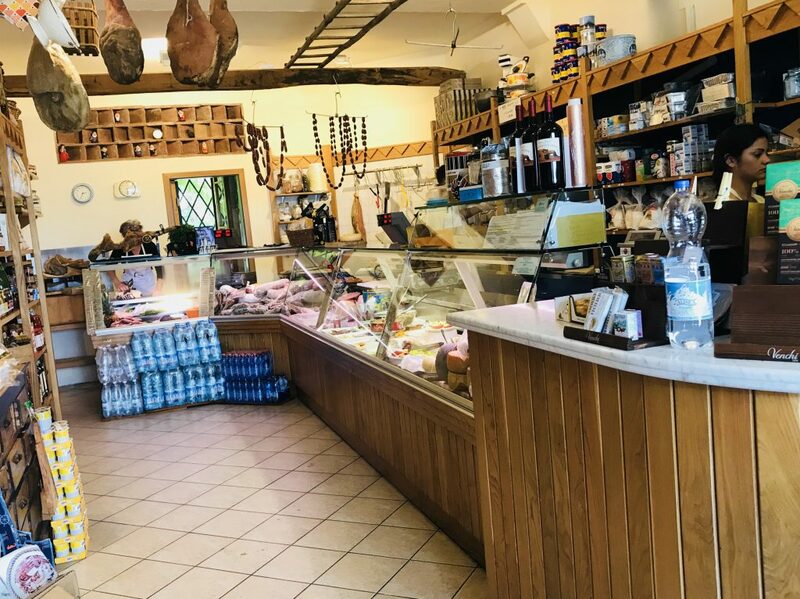 Antica Salumeria Salvini is a place where they sell cured hams, sausages, and meats as well as fresh salads. As we approached the salumeria, Deb and Massi explained that the owner uses recipes that are several hundred years old and is so protective of them he hasn’t even shared them with his son. When we entered the shop, Deb and Massi were greeted like old friends while Ann and I were welcomed like honored guests. We took a moment and wandered the shop admiring the hanging hams, drying sausages, and beautiful meats on display before heading to our table to settle in. 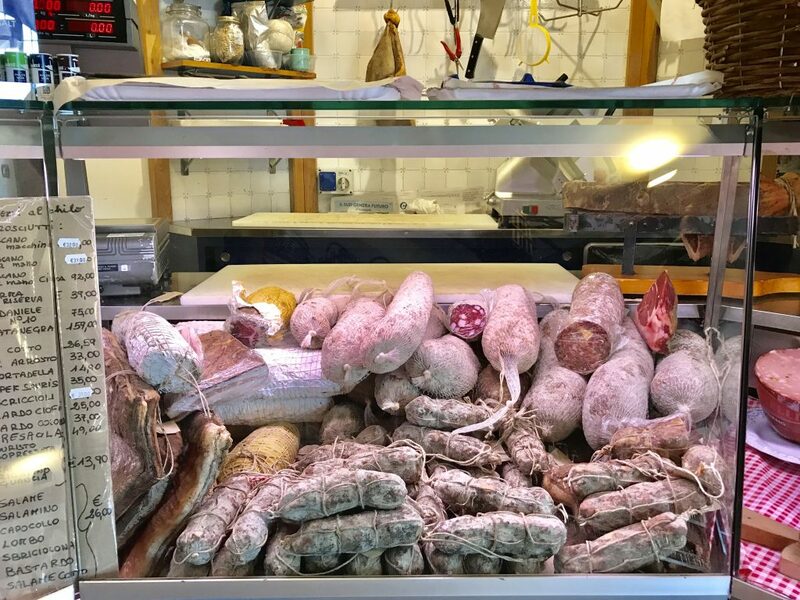 Salami on display at Antica Salumeria Salvini. We ordered a bottle of the house wine. When it came, something about the label caught our eyes. We looked closer and noticed that it was a picture of the owner of the shop lying on his side wearing only a crown of sausages. He did have a prosciutto ham placed strategically to preserve a little modesty. Thank goodness for the well-placed prosciutto ham in this picture on the wine label. 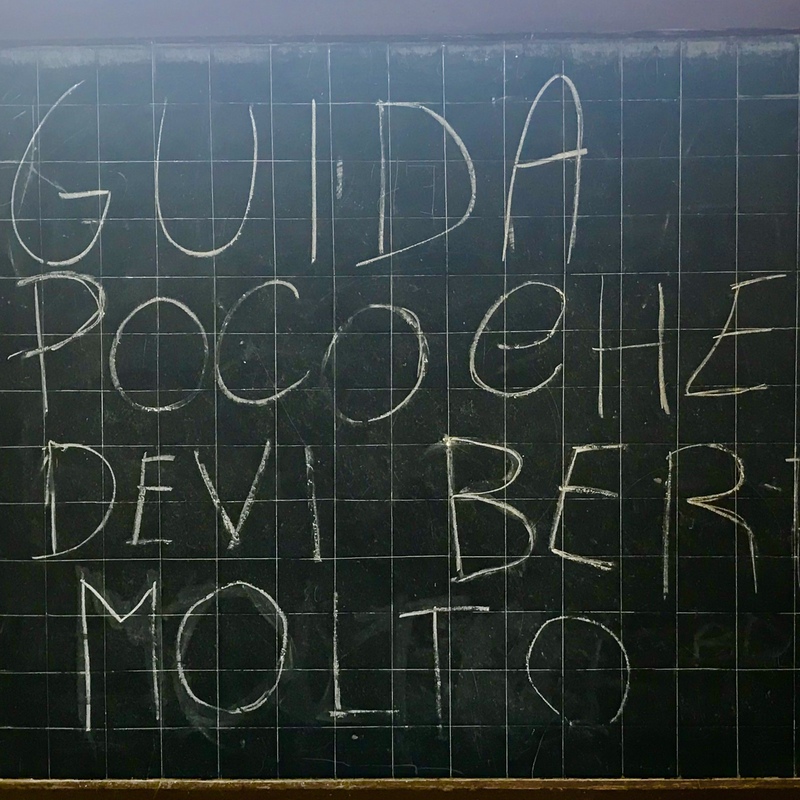 This says, “Drive less so you can drink more,” in Italian. full of personality. 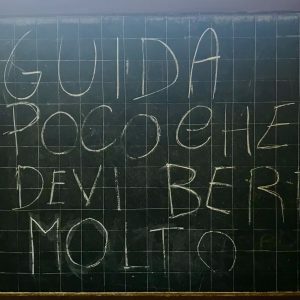 On a chalkboard was written, in Italian, “Drive less so you can drink more.” They were friendly, quick to share a laugh, and have a strange love of all things Texas. We sat and chatted with Deb and Massi, by now feeling like they were old friends. Soon, the food began to come. Then more, and then more. 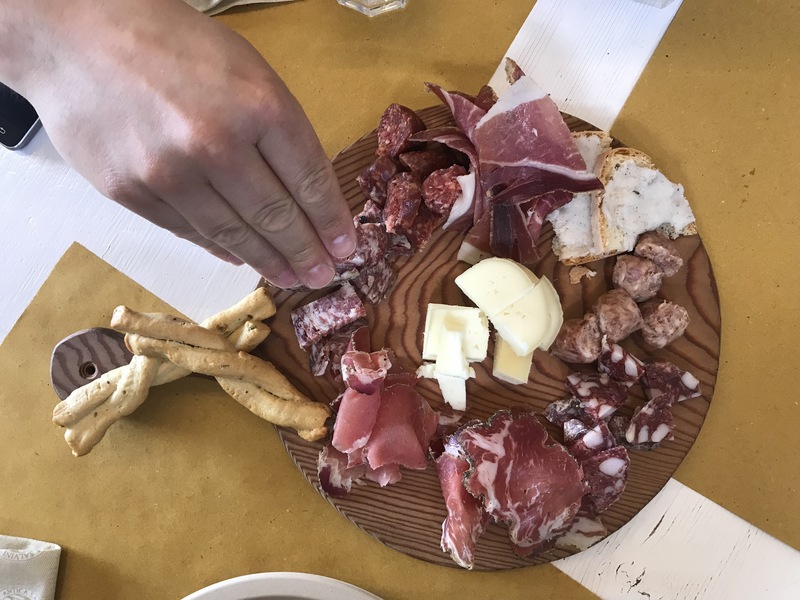 It was like the salumeria was trying to beat us into submission. First came a bowl of chilled pasta with pesto, then a bowl of panzanella, a bread salad made with tomatoes, basil, onion, salt, pepper, olive oil, and day-old bread crumbs. 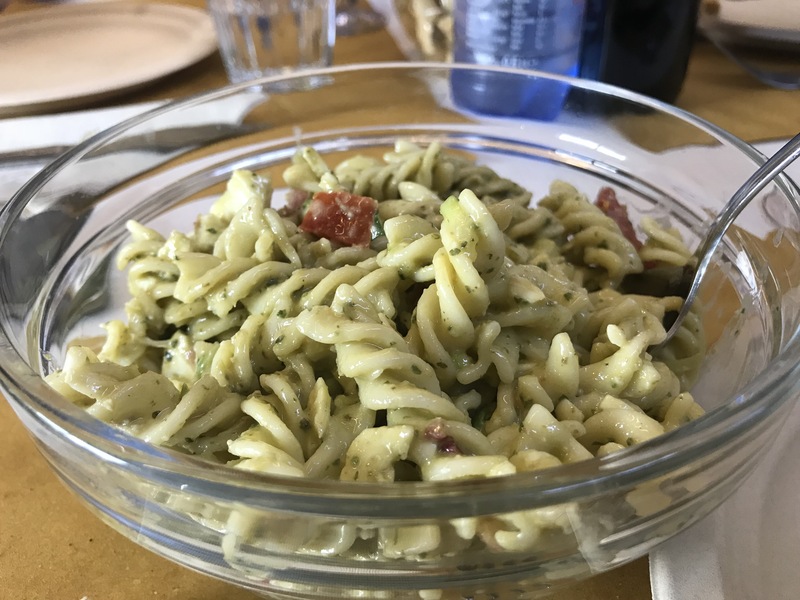 This pasta with pesto was delicious! Next came a meat and cheese board. On it were several different types of prosciutto, sausages, and cheeses, each one more delicious than the last. I’m not sure how long we sat eating, chatting, and eating some more, but I know that we felt a sense of relaxation down deep, the type of relaxation you feel when you finally disconnect from the rat race and settle in to a slower pace of life. Who can resist the goodies on this delicious meat and cheese board? At last our tour came to an end. Stuffed, we headed back to the car and then to our hotel. 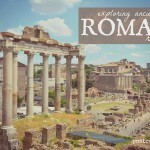 We got to our room, and I sat down to write about our experience, but I couldn’t keep my eyes open. I drifted off into a wonderful, relaxing, sleep. When we left the hotel later on that night to explore more of Siena, we did so with a much deeper understanding of the people and culture behind all we were seeing. 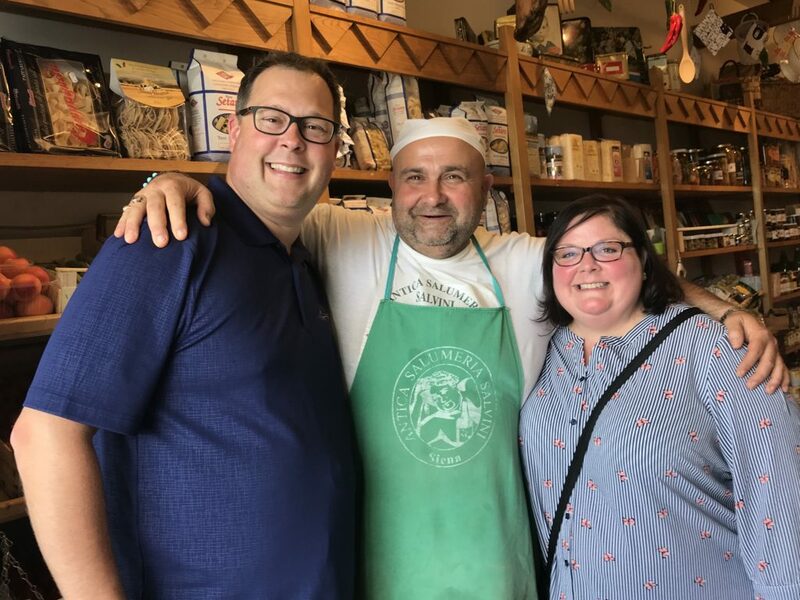 Steve and Ann stop for a photo with the owner of the Antica Salumeria Salvini. We are so grateful we had the opportunity to do this foodie tour with Deb and Massi. We went places we would not have known existed, tasted about 30 new foods and wines we wouldn’t have known much about, and had behind-the-scenes experiences we never would have had without their expertise and connections. 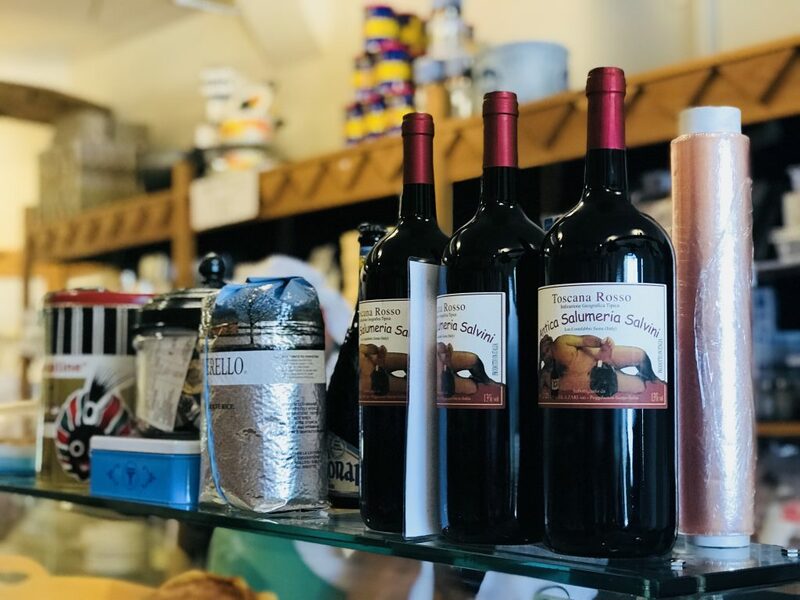 Trust me, this is how you immerse yourself in Tuscany – one taste at a time. Deb and Massi’s Foodie Tour and transfer services were provided to us free of charge, but the opinions expressed are our own. If you are traveling to Tuscany, you can book Deb and Massi’s services by visiting their websites at Italy Unfiltered or Massi the Driver.